The Reserve Bank has announced a new policy for overseas borrowings which allows all eligible borrowers to raise External Commercial Borrowings (ECB) up to $750 million or equivalent per financial year under the automatic route replacing the existing sector wise limits. The minimum average maturity period (MAMP) has been kept at three years for all ECBs. The Union Minister of State (I/C) for Labour and Employment Shri Santosh Kumar Gangwar inaugurated the ILO Centenary Celebrations in India at V.V. Giri National Labour Institute, Noida. India being a founding member has played an active role in every field of the organization. 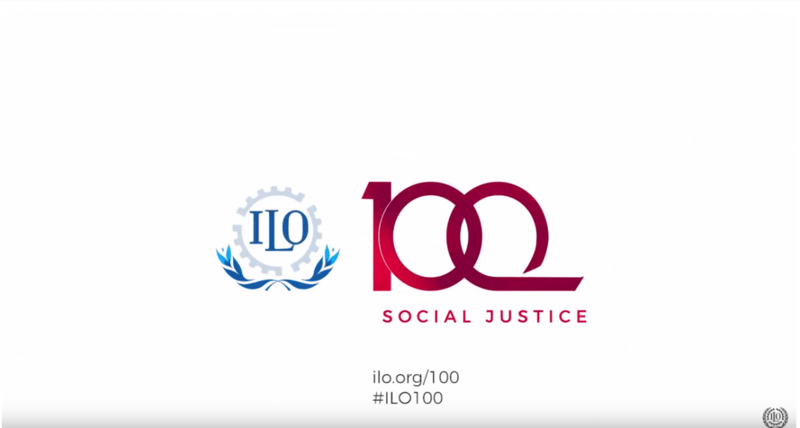 Established in 1919, International Labour Organisation (ILO) is a tripartite organisation where representatives from the government, employers and employees create labour standards. February 10, 2019, was celebrated as the first World Pulses Day. The FAO celebrated the Year 2016 as International Year of Pulses to highlight the contribution of Pulses to sustainable food production and towards food security and nutrition. Following that UN General Assembly passed the resolution to celebrate 10 February as World Pulses Day. The Minister of External Affairs, Sushma Swaraj announced that the MEA would play a facilitating role in promoting the silk in the global markets. The External Affairs Minister urged the Textile Ministry to increase the production to capture the growing market. Ministry of Textiles has set a target to eradicate thigh reeling practice by March 2020 and distributed Buniyaad reeling machine to weavers. Increasing production will help in reducing import as India is the second largest producer of silk after China and the largest consumer of silk. The government of Meghalaya has decided to rename the Dikkibandi stadium after P A Sangma. Purno Agitok Sangma has served as the Speaker of the Lok Sabha (1996-1998) and the Chief Minister of Meghalaya. P A Sangma served as the Chief Minister of Meghalaya from 1988 to 1990. He formed the Nationalist Congress Party in 1999 along with Sharad Pawar and Tariq Anwar. Prime Minister Narendra Modi will inaugurate the 13th International Oil and Gas Conference – PETROTECH-2019 in Greater Noida on 11 February, 2019. The 3-day biennial event began at India Expo Mart on 10 February, 2019. The first PETROTECH-95 was held in New Delhi on 9-12 January, 1995. It is expected to see participation of over 86 eminent speakers and 7 thousand delegates from around 70 countries. Prime Minister Narendra Modi launched several development projects in Andhra Pradesh, Tamil Nadu and Karnataka on a day-long visit to the three states on 10 February, 2019. At Guntur in Andhra Pradesh, the Prime Minister dedicated to the nation the 1.33 million metric ton capacity Visakhapatnam Strategic Petroleum Reserve facility. At Tiruppur in Tamil Nadu, Mr Modi commissioned the 10-km stretch of the Chennai Metro rail through video-conferencing. 1. When was International Labour Organisation (ILO) established? 2. On which day, the World Pulses Day is celebrated? 3. Which year was celebrated as the as International Year of Pulses by FAO? 4. Which among the following countries is the largest producer of silk? 5. During which of the following periods, Purno Agitok Sangma served as the Speaker of the Lok Sabha? 6. When was the first PETROTECH organised? 7. Where has been the new Strategic Petroleum Reserve facility inaugurated?